Interested in Covering the Conference? 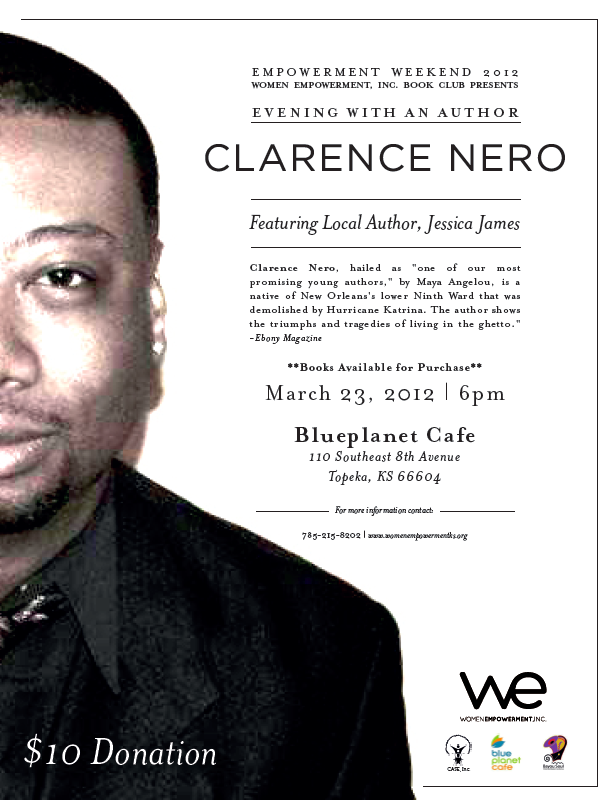 Since the release of his first novel, Clarence Nero has become a superstar of the literary world. His words pulse with the energy of life on the street, and his stories brim with conflict and emotion. Now we're proud to reintroduce his first urban classic, which explores a young man's experience living in and eventually freeing himself from one of the most dangerous neighborhoods in America. At one time, Desire in New Orleans was the pride of public housing, and generations of teenage Cheekie's family had lived there happily and safely. But by the 1970s, the project has seriously deteriorated into violence, drugs and poverty. Despite its downfalls, Desire remained a neighborhood fueled by the people, and their vibrant energy and love of fun transcending their oppressive surroundings. But it's still no place for a young boy, and all Cheekie wants is to get out. Described through his young voice, the neglect and the nurturing, the violence and the inspiration of Desire come alive as Cheekie grows into manhood, finally escapes and forges ahead on an inspiring journey toward personal and professional success. We think you'll love Clarence Nero's critically acclaimed first novel. 82 year-old Emelda Kia releases her first published book.